Hi fashionista! As the world move on and the technology have become the number one in our social live, there is more demand on online boutique from all the fashion lovers. The hectic lifestyle in the city, and also the travel cost makes the online shopping are more convenient for shoppers. For that reason Lanafira launched an online shop for their collection. 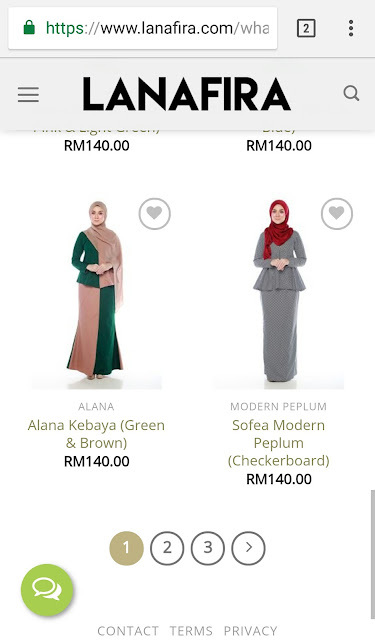 Lanafira is another brand of Muslimah online boutique that should be on your list when you shop online. 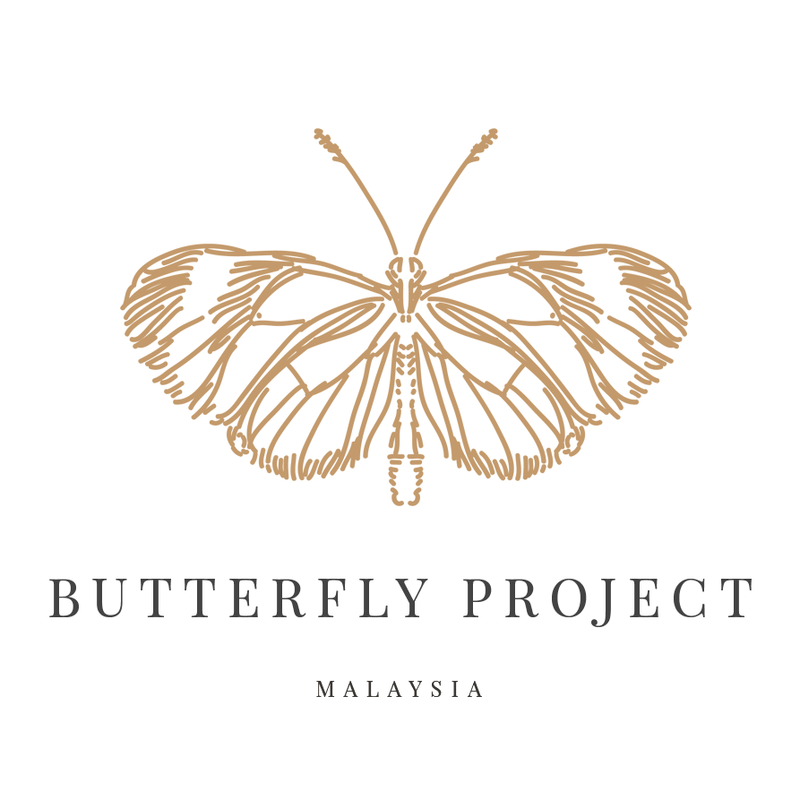 If you looking for stylish, beautifully designed clothing and apparel for today’s Muslim woman, this is it. Lanafira is the answer. 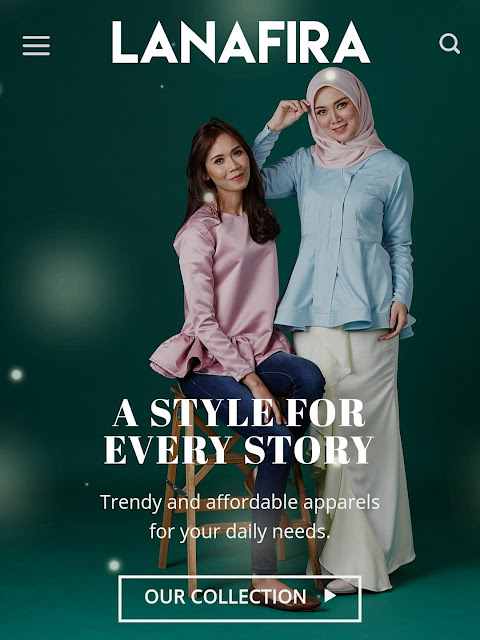 Lanafira specializes in high quality Muslimah dress online and offers their customers a true boutique setting with representatives standing by to answer questions and ensure 100% customer satisfaction. 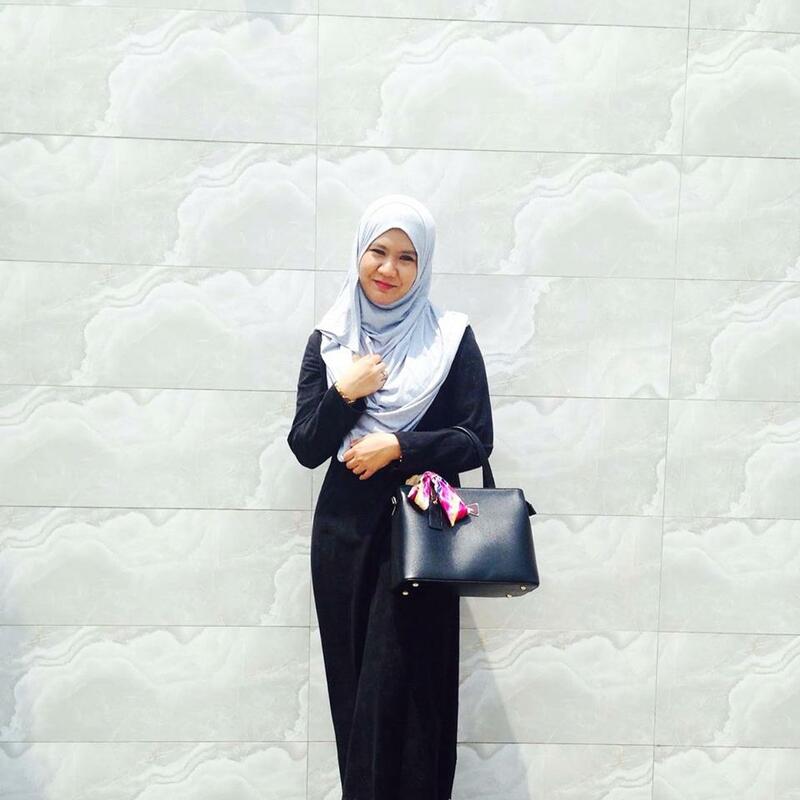 If you want the best Malaysia fashion online, choose Lanafira and experience the quality difference for yourself. 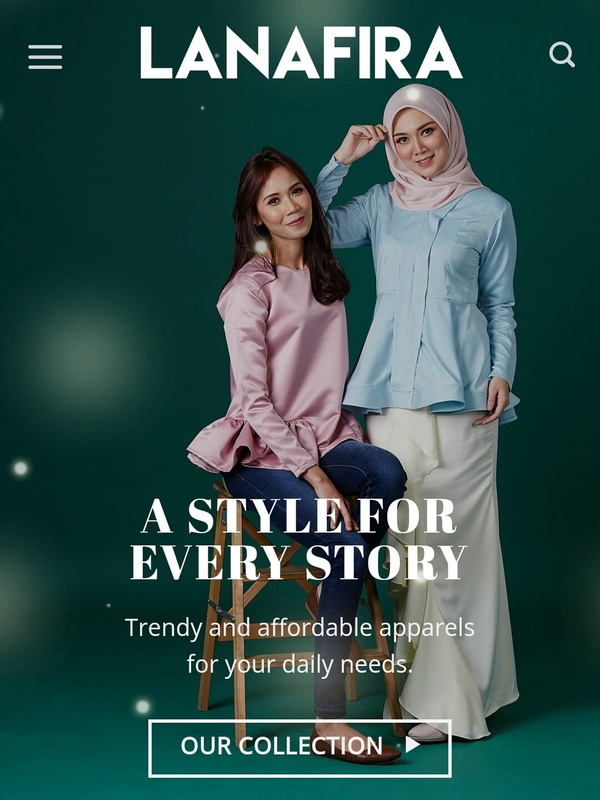 Headquartered in Malaysia and serving the needs of Muslim women throughout the region, Lanafira is an independently owned and operated Muslimah online boutique focused on quality and value. Their goal is to deliver all three parts of great service- high quality, quick turnaround and low prices and they have made it their mission to provide their customers with the highest levels of service and support every time you visit their site. Lanafira understands their customers’ needs and wants to provide a wide selection of Muslimah clothing and accessories they won’t find anywhere else. Shopping for a long Muslimah dress online can be difficult and they want their customers to know that they carry what customers are looking for in stock and ready to ship. From their exclusive Mellisa Long Dress in several colors, to their collections from Alana Kebaya, Pucci Long Dress, Sofea Modern Perplum and more, Lanafira has it covered. Lanafira value their customers and work hard to ensure their complete satisfaction. 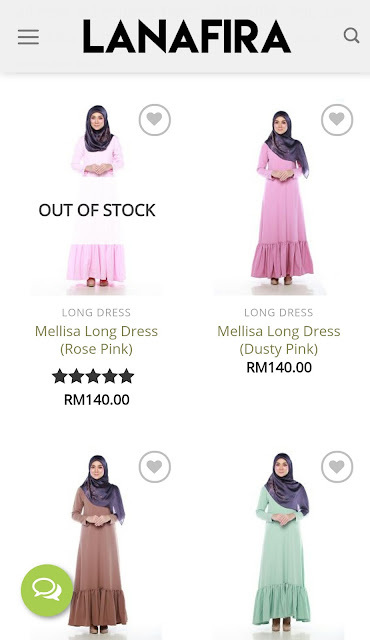 Before, during and after every sale, they will be there to answer any questions and to provide them with the best Muslimah online boutique shopping experience. Can you see the green chat button? Just click there and start your Q&A with their representative. Its so convenient right? So don't forget to shop at their online store which is very convenient with all the systems that they provided on their website. You can browse all the fashion that you wanted and it will be easily to display. Just in one transaction your dream dress or clothes will be at your door step. Therefor you definitely have to hurry in purchasing the clothes that you wanted cos I found that there are selling fast. If you can see the collection is very fun and attractive, really suitable for teenagers and of cos suitable for every women. Koleksi pakaian menarik & harga berpatutan. cantiklah warna baju dia. design okay comel-comel. Wahh..mcm2 pilihan baju skrg ni. Jadi rambang mata dibuatnya..